Growing up I was a sports junkie. I wrestled year-round and was on a traveling baseball team. 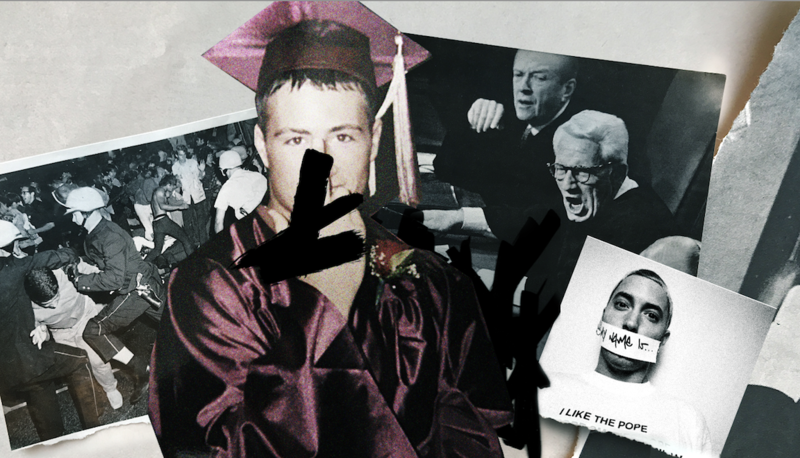 I was a straight “A” student with big dreams, but things changed when my dad’s drug addiction started. He began to fade out of my life and since he was busy getting his hands on pain prescription pills, and eventually heroine, all I had as a guide for life was my post-pubescent desires. I quickly became a Shady wannabe doing outrageous things in class just for a laugh, going so far as to call one of the staff Mr. “fill-in-the-obscenity” and threatening to fight my English teacher. I went after anything that felt good. At 16 I was partying, chasing girls, smoking pot — you name it, I probably did it. Nothing seemed to satisfy me and my life started to become very empty, very fast. Two of my friends committed suicide. It didn’t take long for me to hit rock-bottom. One night of mailbox smashing — drinking and driving around as “bad country kids” do — led to a cop pulling me over. Well, he tried to pull me over. Looking for a Shawshank escape from reality, I dropped out of school, moved to Denver, Colorado, and sold coupon books door-to-door for a marketing company (my lifelong dream …). I was still determined to change my life. My high school advised me to officially drop out and enroll in Alternative Education. I finished high school with classes like “Literature through Movies” (our class explored the great and diverse world of English literature with movies like “Star Wars”). I also picked up a job at a warehouse. My friends weren’t into the change in lifestyle I wanted, so I dropped away from them. I wanted something better out of life than the “good times all the time” thing I’d been doing for so long. It was “The Passion of the Christ.” I’d grown up Catholic and thought, “Why the heck not?” It also meant eating a bucket of popcorn and flirting with girls outside the theatre, so I went.